When thinking of Indochina, it is easy to conjure up thoughts of peaceful relaxation, Buddhist Monks, iconic temples and a deep-rooted history that awakens the soul and takes you back in time. It is true that one can find all of this in the various countries that make up Indochina: Vietnam, Laos, Cambodia, Thailand, Myanmar, Malaysia and Indonesia, but did you know that it is also a great golfing destination for a perfect getaway. These very things that make Indochina unique add to your golfing holiday and this magical land will awaken and heighten your senses in every way. The sights and sounds away from the golf will make the trip even more intriguing and memorable, giving you an abundance of stories to share with those who have not had the pleasure of exploring this enchanting part of the world. Truth be told, there is so much to see and do that you will be taking more shots with your camera then your golf clubs as you soak up all the atmosphere that surrounds you. No matter what destination you choose (and even better if you combine more than one) the landscape will leave you breathless as you travel to and from the golf courses. 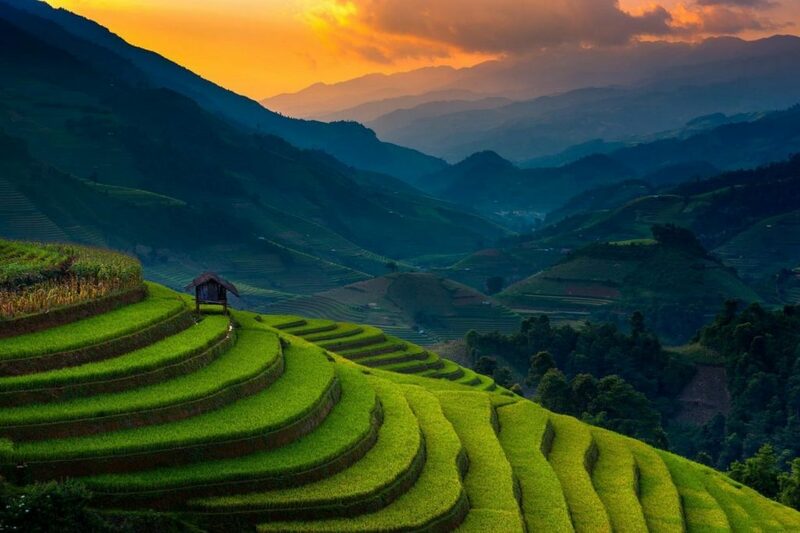 Sweeping views across mountains and valleys with different shades of green from the rice fields dot the skyline. Iconic limestone cliffs that seem to be rising out of the ocean will leave you mesmerized and sunsets that cast almost every hue of red and orange leave you breathless. Each country will have its uniqueness in topography and scenery and needs to be seen to believe. Try to play a few golf courses spread out away from one another or even better, try to hop on a train and explore the wonderful country side between different destinations. Even a little long-distance travel won’t seem nearly as time consuming as you will be admiring the vistas during the journey. 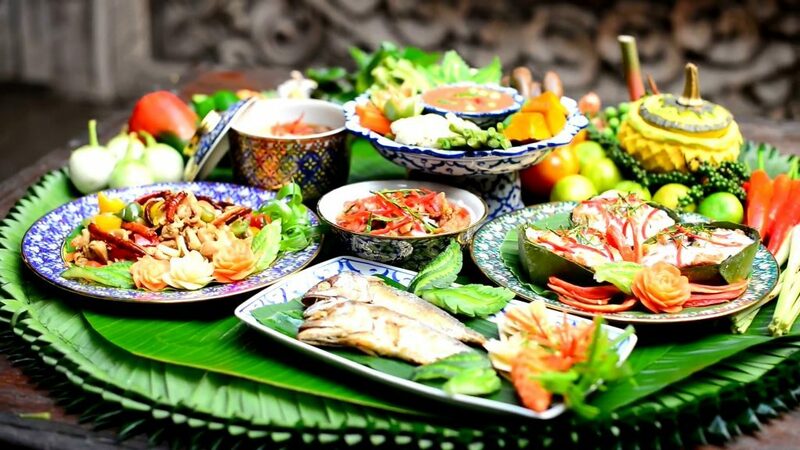 There is nothing that will prepare you for the wonderful flavours and smells of the Indochina foods that seem to be everywhere. From five-star dining to upbeat street vendors, the sights and smells will have your taste buds craving to try dish after dish. The combination of fresh ingredients, herbs, spices and curries will produce wonderful smells that beckon you from all directions. These countries are well known for their beautiful combinations of flavours and cooking techniques and have Chef’s from all over the world reproducing some signature dishes back home, but now you have the chance to taste the authentic delicacies that will have you craving more. Yes, be prepared to put on a couple pounds, as not only is the food enticing, but the prices are so affordable you will find yourself ordering a second or third dish while washing it down with the local beverages of choice. If you are the brave at heart, you can also try some barbequed crickets, spiders and scorpions and decide for yourself if everything really does taste like chicken. These lands date back to the times of Dynasties and Kingdoms with relics and artifacts prevalent everywhere your adventure leads you. The deep-history and culture is part of the lure and wonderment that makes up the spiritual energy that seems to emit itself as you explore and discover. 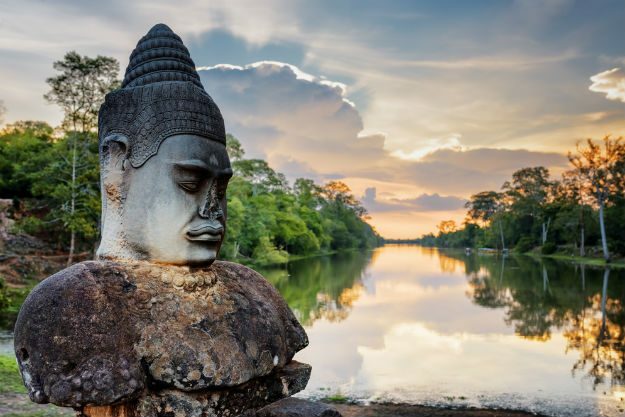 You will be feel like an archaeologist as you lose yourself in Angkor Wat, Cambodia as the nature has harmoniously grown and slowly encompassed the ruins and artifacts. Maybe you will find yourself enjoying the panoramic views as you visit the Big Buddha in Phuket, Thailand, admiring one of the iconic water temples in Bali, Indonesia, drifting high above in hot air balloon over the Bagan temples of Myanmar or entranced by the beauty of the Crystal Mosque at nighttime in Kuala Lumpur, Malaysia. Wherever you choose to explore, the history and culture of these iconic lands will bring back a sense of what was and all that will be. Nothing feels better after a long day on the links as slipping into that cool emerald salt water and drifting away with the waves as you relax and lazily watch the clouds float by. The beaches of Vietnam and Thailand will have you forgetting any of your poor shots and remind you why Indochina is now your favourite getaway. 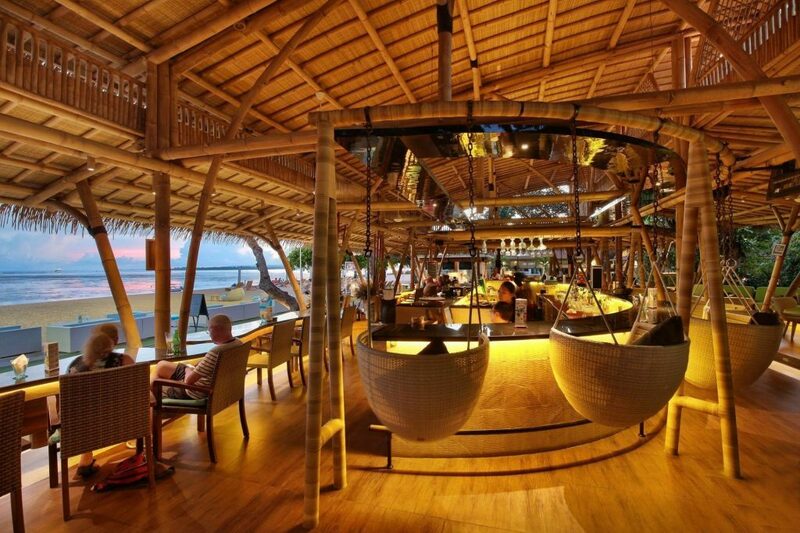 With the palm trees swaying in the wind and affordable beverages at bamboo shacks with views that leave you in amazement, will have you relaxing into a state of bliss. There are a variety of snorkeling and dive excursions which will allow you to have a day off from golf or at least a complete afternoon in order to witness the abundance of underwater life around limestone pillars or to explore the many grottos and caves that seem out of this world. With many small enchanting islands off the coast, you also may find yourself taking a sail or longtail boat ride and losing yourself in an atmosphere that reminds you of Robinson Crusoe or scenes from many movies that have captured these breathtaking vistas on film. The price of accommodation is incredible compared to resorts, villas or hotels back home. These home away from homes give you all the modern comforts you could want and friendly staff who always seem to exceed your expectations and are eager to make your stay the most enjoyable. Imagine renting your own villa with ocean sweeping views, a bamboo constructed bungalow in the midst of rice fields or a five-star resort amongst all the nightlife activities. The possibilities are endless allowing something for every budget and desire. Depending on your holiday, you may find yourself sleeping one night to the sound of ocean waves gently lapping up to the shore, another night listening to the monkey’s leap from tree to tree, and a third to the music vibrating from the nightlife waiting just outside your door. There is a wide range of experiences in all the destinations and a multitude of accommodations to match any of your needs. Sadly, caddies have become a thing of the past, unless visiting a very exclusive private club whose gates are closed to much of the golfing public or 5-star resorts that many cannot afford to play. Fortunately for you and your escape to Indochina, all the courses will have caddies, and not just any caddies but attractive young ladies whose smile alone will have you playing better. Yes, the caddies are definitely an added plus to any holiday and their warm heartedness and playful demeanor will have you smiling with them regardless of your play. But don’t let their charm fool you, all the caddies have been professionally trained and will give you expert knowledge on how to play the course and are able to read the greens as if they are simple children’s books. Yes, you will enjoy the caddy experience so much that you will seek out the management of your home club and explain to him why you should have the same program. Now let’s face it, the make and break of any try golf escape are the courses that you will be playing and Indochina has some of the best layouts, conditioning and designs to be found anywhere. Whether enjoying mountain views of Chiang Mai Highlands, ocean vistas from New Kuta Golf Club, admiring the Palace of the Golden Horses from the Mines Resort and Golf Club, or the iconic limestone cliffs of the Phoenix Golf Club, you will have no shortage in world-class golf. Many courses are designed by the best in the business such as Nicklaus, Player, Norman, Trent Jones, Schmidt-Curley and more choices of award winning golf that rivals anywhere you could visit. 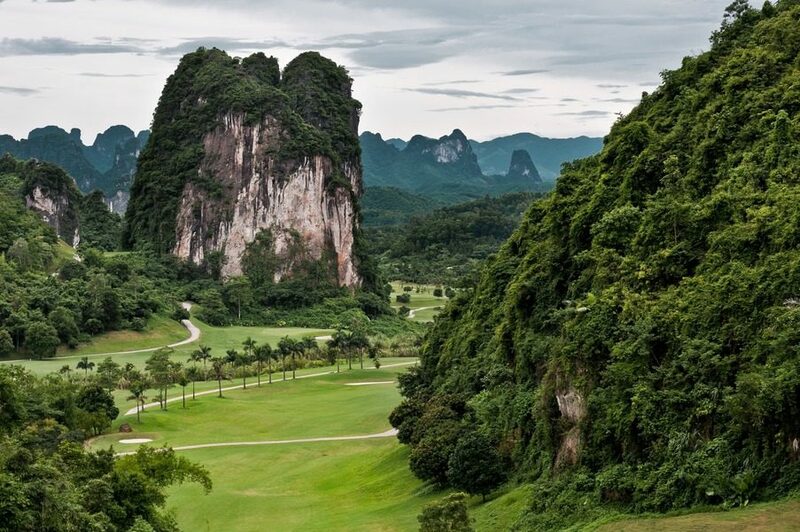 Yes, Indochina has everything to offer you for the perfect getaway on and off the course. If you haven’t considered golfing here before, now is your time to discover one of the best destinations for a truly unforgettable vacation. With so many choices to consider when planning, be sure to use a booking company such as Golfasian to help you and your group with any details ensuring you will get the most out of your Golf Holiday in Asia.